Hoboken Mayor Dawn Zimmer wrote to Port Authority of New York and New Jersey Chairman John Degnan to urge the organization to reverse the recent PATH service cuts for Hoboken that were implemented on April 26, 2015 with no public process. The City of Hoboken learned about the issue due to complaints from residents who noticed the change in service. "It won't surprise anyone who has tried to squeeze onto a rush hour PATH train to learn that ridership at Hoboken has grown 11 percent in the last two years - more than at any other station in the State," said Mayor Dawn Zimmer. "We should be talking about adding more capacity, yet the Port Authority cut rush hour service by 14 percent overnight with no public input. It defies all logic. In Hoboken, we have created a walk-friendly, transit-friendly, mixed-use community, but our residents and our economy are completely undermined by this action. Enough with the service cuts, enough with the short-sightedness. Let's invest in a 21st century transportation system that will truly support our growing region." The service change reduces peak service on the Hoboken to 33rd Street line by 14%. Between 7:30am and 9:30am, service from Hoboken to 33rd Street has been cut from 19 trains to 16 trains. From 4:30pm to 6:45pm, service from 33rd Street to Hoboken was reduced from 24 trains to 21 trains. Late evening service from 9pm to midnight was reduced from 11 trains to 9 trains. "I would invite any of these decision makers to come along for a ride on the PATH during the morning commute from Hoboken and provide their honest assessment as to whether or not the system needs more or fewer trains," said Hoboken Council President Ravinder Bhalla. "Residents who keep their cars off the road and use public transit are repeatedly being punished with fare hikes, overcrowded trains, and threats to their primary mode of transportation. I fail to comprehend how an increase in ridership leads to a decrease in services. I find it unacceptable that while the Port Authority spends billions on other projects, they are penny-pinching in Hoboken, punishing their most loyal customers. I hope the Port Authority will reverse this decision and invest in a transportation system that rewards riders." 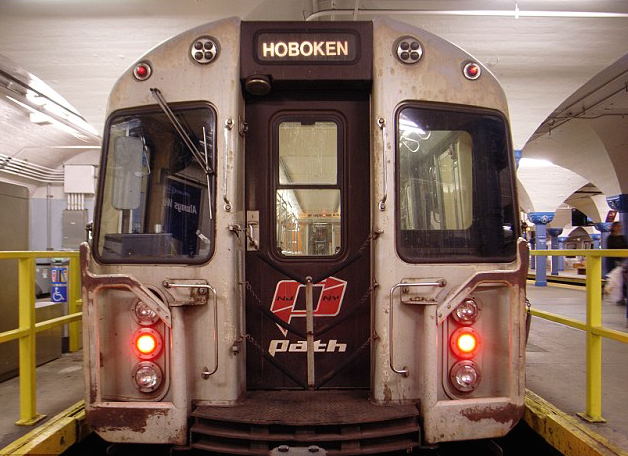 Ridership at the Hoboken PATH station has increased by 11 percent since 2012. According to publicly available Port Authority data, the Hoboken PATH station had an average of 19,890 passengers per day in 2012 and 22,078 passengers per day in 2014.